A six-piece sypmhonic metal band. They are one of the most popular metal bands from the Nordic area. Here is their story. The songs attract the attention of Spinefarm Records, and the band is offered a deal. During the summer, Nightwish record four more songs, and their debut album Angels Fall First is released in November. The album rises to number 31 on the Finnish charts, while the single, The Carpenter has already made it to Top Ten. During the summer, Nightwish recruit a permanent bassist, Sami Vänskä. The summer is spent writing new material, and the band enter the studio in early August. Oceanborn, an album significantly more powerful and professional than their debut, is released on December 7. Mixed by Mikko Karmila, who will later become their trusted ally, Oceanborn rises to number five on the Finnish charts. The success surprises everyone, although the single, Sacrament of Wilderness had already conquered the pole position of the singles charts. Oceanborn is released internationally during the spring, boosted by the new single, Sleeping Sun that sells more than 15,000 copies in a few weeks in Germany alone. The lively festival season ends on a happy note, as both Oceanborn and the single, Sacrament of Wilderness are certified Gold. Shortly afterwards, Nightwish embark on their first European tour, supporting Rage for four weeks during November and December. Nightwish quickly gain momentum again, as they start recording Century Child in January. The single, Ever Dream comes out in early May and earns them a Finnish Gold Record in two days. After three weeks, Century Child does even better, selling Gold in just two hours. In Germany, the album rises to number five on the official charts. Early 2004 flies by fast in the studio, and in early June, Once is released; an hour-long musical masterpiece that introduces new flavours to the band’s trademark sound. The British genius Pip Williams has created some majestic orchestral and choral arrangements, and the Native American musician John Two-Hawks appears on the track, Creek Mary’s Blood. Once tops the charts in Finland as well as in Germany, Norway, Hungary, and Greece, and becomes the most successful album of the summer in Europe. The first single release, Nemo is followed by Wish I Had an Angel, Kuolema tekee taiteilijan, and The Siren. 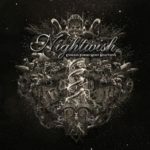 The veil of secrecy is lifted at the end of May, when Nightwish announce the identity of their new singer in connection with the release of Eva, the first single off the forthcoming album. Yet another single, Amaranth, is released before Dark Passion Play is finally unleashed in the end of September. The multifaceted album sells 50,000 copies in Finland in one day. Just as Once incorporated new influences to the band’s sound a few years earlier, Dark Passion Play also sees Nightwish navigate unknown waters: Master Passion Greed is probably the heaviest track the band had ever recorded, while Last of the Wilds, featuring the multi-instrumentalist Troy Donockley, takes the listener to the moors of Scottish Highland. The “Dark Passion Play” World Tour kicks off with three secret warm-up gigs under various pseudonyms, and during the autumn, the band tour heavily in the US as well as in Scandinavia. A video for The Islander is also shot in Lapland, and as you will see, this production will have long-lasting effect on the future of Nightwish. The double nature of Imaginarium had been conceived already years earlier, as Holopainen had presented Stobe Harju — the director of The Islander video — with the idea of shooting 13 music videos for the album. As the director suggested they’d add some dialogue between the songs, the final idea was crystallized: Imaginarium would be a full-length movie that carries a story. 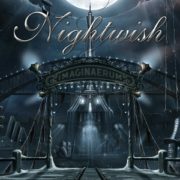 In late summer, Nightwish refine the spelling of the title to Imaginaerum and announce that the new album will be released in Finland in late November. The single, Storytime is released as a taster for the 75-minute roller coaster ride. There’s excitement in the Nightwish camp in early August, as the concert at Wacken Open Air will be shot for the forthcoming live release. Over 80,000 fans witness a spectacular performance in northern Germany. A week later, the “Imaginaerum” World Tour that had ran for 18 months and over 100 concerts is capped off at the M’era Luna festival. Things begin to take shape in earnest in July. Nightwish retreat into the tranquility of the Röskö camp site in Kitee, with the purpose of rehearsing and recording the band’s parts of the upcoming album, until the end of September. In this respect, the work differs from the method used in, for example, the Imaginaerum album, the material of which was also rehearsed at Röskö, but the actual recordings took place in, among others, the Petrax studio.